Fun Fact: Captain Crunch isn’t sweet like the cereal – he’ll bite back. 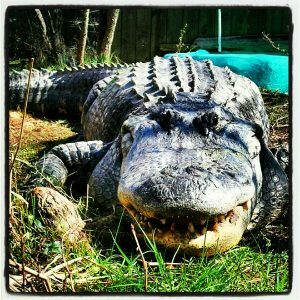 Keep your distance from this guy, especially during feeding time. 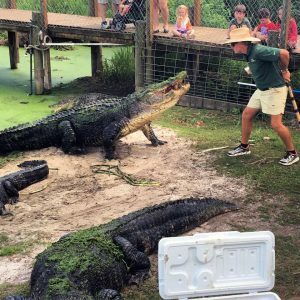 Best known for: His world record for bite strength of 2,982 pounds. Ouch! Fun Fact: Not only is Moe big, but he’s blind in one eye. He doesn’t let that stop him from jumping really high out of the water. Watch out for Big Moe and his scare tactics. Best known for: His bubbly personality. 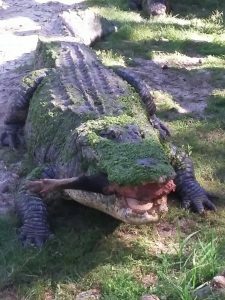 Fun Fact: Pickles is the most well-known among the young alligators. 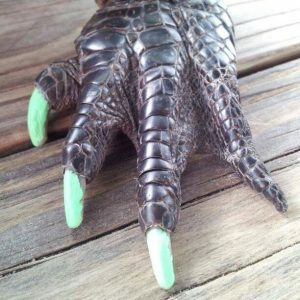 You can spot him sporting green toenails on the weekend. Best known for: Having his very own Facebook page. Give him a follow! Best known for: His royalty. All hail Prince Eric. 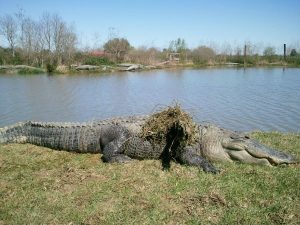 Fun Fact: The Colonel is the largest alligator on the farm, and also the laziest. Best known for: Knocking heads and taking names. Look out. 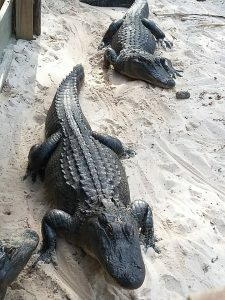 Now that you know a little bit more about these fellas, do you think you can spot them on your next visit to the swamp? 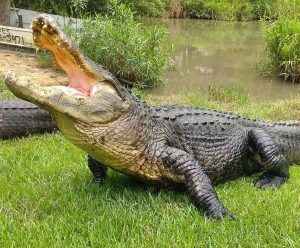 Put yourself to the test and tag us on Facebook and Instagram using the hashtag #AlligatorProfile and include your guess along with a photo of one of our guys! Remember, we’re open seven days a week, 10-5 and have live feedings everyday at 11, 1 and 4. Tune in on Facebook soon!